The Villa Aurora is one of the most fascinating buildings in Europe. Occupied by the Ludovisi family since the 12th century, the villa contains such extraordinary treasures as a Michelangelo garden satyr, a collection of Galileo’s telescopes and the only known ceiling painting by Caravaggio. Princess Rita Boncompagni Ludovisi, the current owner, has worked tirelessly to inventory and restore the property. However, there are still many treasures to uncover. With her gracious cooperation, the IDA’s Dr. Alexy Karenowksa and Finlay Ryburn of the University of Oxford are conducting the very first comprehensive ground penetrating radar survey of this historic property. The results to date have helped answer many questions about the original size and shape of the residence and hold the promise of pointing the way to many more treasures beneath the surface. St. Catherine’s Monastery in the Sinai Peninsula houses an amazing array of scrolls, papyrii, books and other ephemera. The IDA is working with Dr. Robin Cormack of the University of Cambridge and Dr. Maria Vasilaki to use innovative imaging technologies to identify, localize and date the materials used in the icons stored at the site, to assist in dating them, and better establish their provenance. We also hope to work with St. Catherine’s to assist in the digitization of their manuscript archive. The IDA supports underwater imaging projects conducted by Dr. Giles Richardson. Dr. Richardson is currently searching for the HMS Marlborough, which sank off the British coast near Kelsey in 1924. A wreck site has been identified with the assistance of the UK Hyrdographic Service, but more imaging will be required to confirm the identification of the ship. In addition, Dr. Richardson’s team has recently begun to explore the wreckage of the HMT Ganilly, a WWII minesweeper that sank in 1944. The IDA provides funding and technical assistance for the development of underwater imaging equipment to facilitate this important and exciting work. Dr. Alexy Karenowska and her team at the University of Oxford have been working in collaboration with scholars from the US and UK on ground-breaking techniques for the study of ancient papyri. Spectroscopic tools are able to bring to life otherwise unreadable texts and tell us more about the work of ancient scribes. In collaboration with our academic partners, and the government of the United Arab Emirates, the IDA is in the process of capturing millions of 3D images of threatened objects. Armed with smartphones, DSLRs, or our proprietary lightweight, discreet and easy-to-use 3D cameras, our dedicated volunteer photographers are capturing high quality scans at important sites in conflict zones throughout the Middle East and North Africa. Images are uploaded through our web portal for inclusion in the open-source Million Image Database. These images will be used for research, heritage appreciation, educational programs and 3D reconstruction. The first monumental-scale reconstruction occurred in April, 2016 in Trafalgar Square, London. Subsequent reconstructions have taken place in New York City, Dubai, Florence, Arona and Washington D.C. This program is the first of its kind in both purpose and scale. However, it is our hope that it will become a model for future similar endeavors. While there are those who seek to encourage us to forget the past – to forget the shared history that unites us – we are dedicated to ensuring that the visual reminders that keep that history alive remain a part of the human experience. The IDA, working in collaboration with noted prehistory art specialists Carole Frtiz and Giles Tosello, carried out RTI, PTM and MSI in the Marsoulas caves in both the 2015 and 2016 seasons. These extraordinary caves, inscribed or painted by ancient man on nearly every surface, present a number of unique imaging challenges. Flooded chambers, delicate stone features, darkness and uneven surfaces made work in the caves difficult. In the end, however, the IDA was able to obtain -- for the first time ever -- accurate images of most of the important art historical features at the site. Novel image enhancement technologies were used to process these images, revealing details unseen for tens of thousands of years. The Ptolemaic Inscriptions project began in October 2013, with the aim of creating a corpus of up-to-date editions of the University of Oxford's collection -- numbering about 450 items -- of Greek, bilingual and trilingual inscriptions on stone from Ptolemaic Egypt (323-30 BCE). Relying primarily on RTI, this initiative ultimately yielded a completely new set of scholarly editions, which replaced older, partial editions. This new resource, organized by region and theme, offered -- for the first time -- a full picture of the Greek epigraphy of the period. For a number of years, the IDA worked with the Harvard Department of Classics to support an annual course on the archaeology of Sicily. 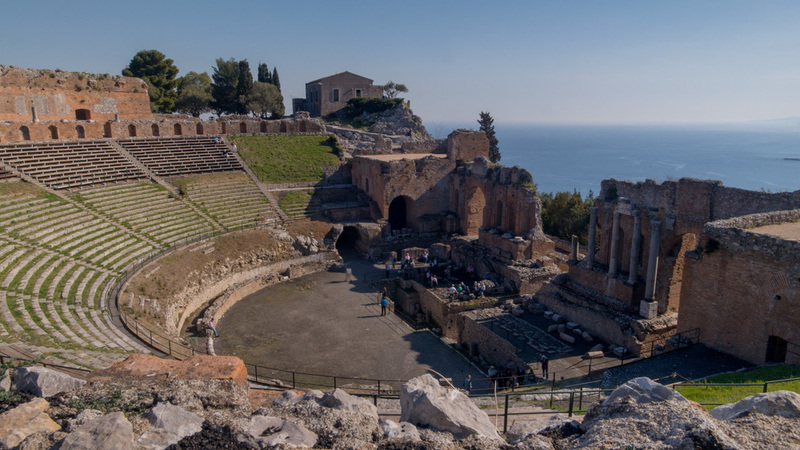 As part of the course, students visited Sicily for a one week residency. IDA staff provided both classroom and on-site instruction in Reflectance Transformation Imaging -- techniques the students could practice during their fieldwork in Sicily. The course included both graduate and undergraduate students and focused on sites in Mozia, Morgantina, and Megara Hyblaea. The IDA worked with NYU’s Institute for the Study of the Ancient World to create a uniform digital template for epigraphical materials that has enabled researchers to input information more easily and both store and present it in a more uniform style. In conjunction wit the Beazley Archive, the IDA worked on the application of RTI and MSI technologies to the study of ancient pottery and gemstones. These imaging techniques are very useful for isolating texture and color on reflective and/or uneven surfaces, and can help provide new insights into the methods of ancient artists. Latin inscriptions are typically inaccessible to the general public. The goal of this project was first to create an online corpus of critical editions of the museum's collection of inscriptions for a scholarly readership. This digital resource could then be adapted to create user-friendly interactive programming that would allow all museum-goers to explore these ancient writings and learn more about classical epigraphy generally. Latin inscriptions illuminate the society, economy, and religion of the Roman world. 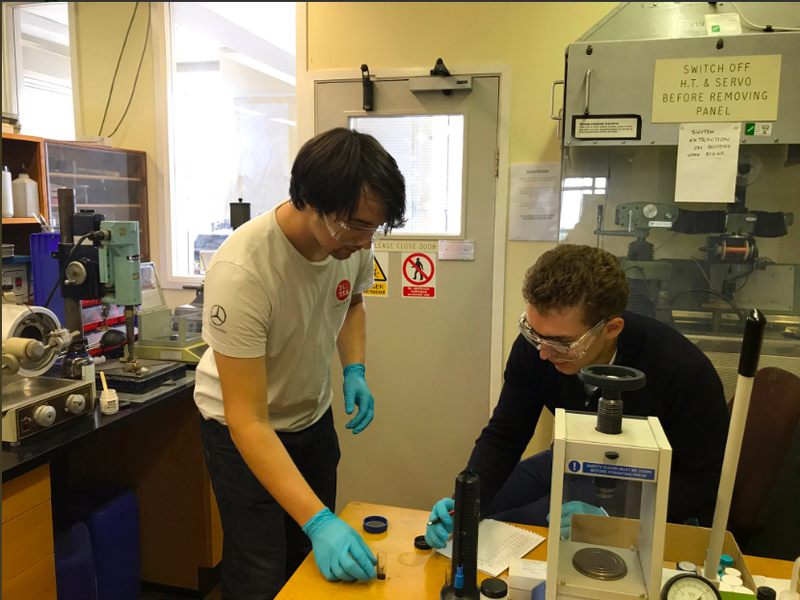 Ben Altshuler led the IDA’s team on the Philae Obelisk project in October and November of 2014. Under the supervision of the University of Oxford’s Alan Bowman and Charles Crowther, Altshuler carried out RTI imaging of the ancient Egyptian obelisk located at Kingston Lacy, a National Trust site. This project not only clarified images of hieroglyphic inscriptions on the obelisk, but also brought to light Greek inscriptions at its base which had never been accurately transcribed. The Parian Marble is the earliest existing example of a Greek chronological table, recording the dates of major events from 1582 BC to 299 BC. It was imaged by IDA scholar Benjamin Altshuler in 2013. What makes this inscription so interesting is how both mythical and historical events were recorded in the same timeline, giving precise dates for the Trojan War, the Flood of Deucalion, and the Voyage of the Argonauts. With the use of RTI, the almost illegible text on the marble in the Ashmolean can now be studied far more precisely. 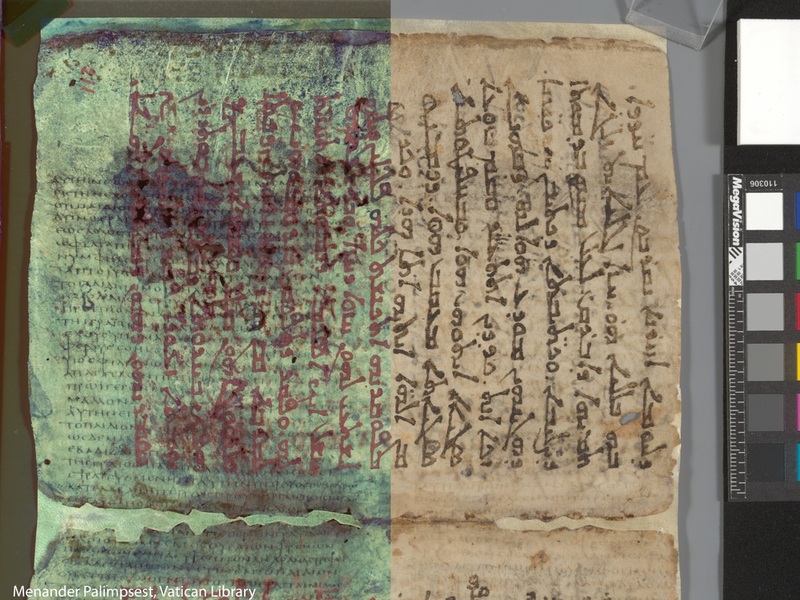 The Institute for Digital Archaeology participated in a project to transcribe a recently-discovered, palimpsest text of Menander’s lost comedy “The Wet-Nurse” in the Vatican Library. The IDA’s Ben Altshuler, by providing technical and epigraphic support, assisted a team that included such eminent scholars as Nigel Wilson of Oxford University and Michael Phelps of EMEL. The project yielded an important new edition of the poem published in 2016.